Soft cover book by author Bruce Cohran. Book size is 9" X 6" with 96 pages. It's been said this would be a better world if people were more like golden retrievers. Friendly, cheerful, self-assured, and just plain loveable -these are the classic characteristics of goldens. That's the upside. 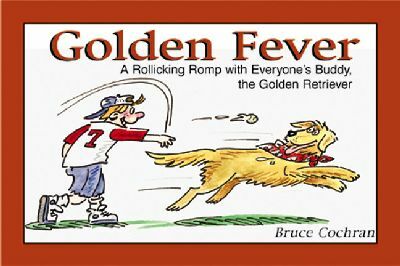 What golden owners won't tell you, but is hilariously revealed in this charming book of humorous cartoons, is that these lovely dogs can also display hoodwinking deceit, annoying persistence, blind jealousy, selfishness, flatulence and indolence. Of course, it's because of these exasperating traits, if not in spite of them, that goldens are so darn endearing. 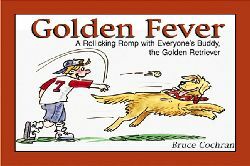 All golden owners will recognize themselves and their dogs in Bruce Cochran's Golden Fever!